Manufacturer & Supplier of Suction Strainer. Our product range also comprises of Rubber Hose, Industrial Rubber Hoses and Rubber Sheets. With the help of our diligent workforce, we have been competent in manufacturing, supplying, wholesaling, trading, retailing and exporting Suction Strainer. 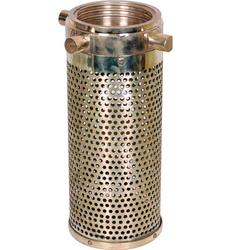 All the offered strainers are designed and manufactured by skilled professionals, making use of finest quality rubber, at par with set industry guidelines. Moreover, our products are acclaimed in the international market for their high compressive strength, tough design and resistance against abrasion.